Find out why World's Greatest Places Mosaics is considered one of the best mosaics games of all time. This game is truly unique and will give your brain a good workout. More than two hundred levels of mosaics madness with creative designs. By solving the mosaics puzzles, you will learn more about the world and interesting cities, monuments and places. 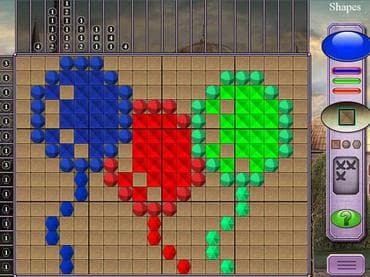 If you have played Fantasy Mosaics, you will love this game which is so much better in every aspect. Download World's Greatest Places Mosaics now completely free. If you have questions about World’s Greatest Places Mosaics game, please contact us using this form.